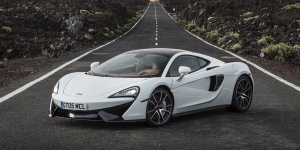 The McLaren 570 is a two-seater supercar featuring outlandish handling and performance courtesy lightweight carbonfiber chassis and a turbocharged V8 driving the rear-wheels. Get the best price for the McLaren of your choice from a dealer in your area. Request a price quote now.